Everton Football Club have confirmed the appointment of Ronald Koeman as manager on a three-year contract to June 2019. A European Cup winner as a player at Barcelona and winner of the European Championship with the Netherlands, Koeman has won eight trophies as a manager including three Dutch Eredivisie titles, the KNVB (Dutch) Cup and the Copa Del Rey in Spain. He is the only man to have played for and managed the ‘big three’ clubs in the Netherlands – Ajax, PSV and Feyenoord – and his managerial career has embraced spells at Benfica in Portugal and Spanish side Valencia. He has also served as assistant manager for the Netherlands and Barcelona. Chairman Bill Kenwright commented: “We are really pleased to have secured the man who was our No.1 target from the moment we set out to appoint a new manager. 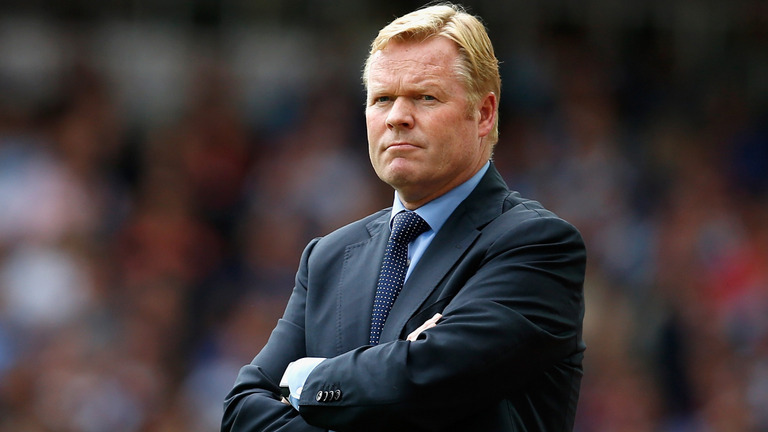 Manager Ronald Koeman added: “I am very excited to be Everton manager. I believe in the Club, in the team, in the fans and in our ability to achieve things in the future.